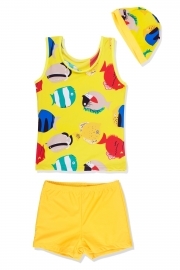 Our cute swimsuit set comes with a long sleeve rash guard and a ruffled underwear for girls. 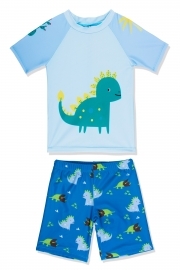 It is durable stretchy fabric, which is soft, lightweight and quick drying. 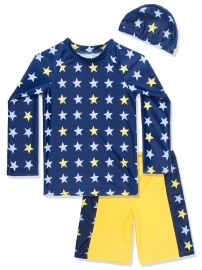 Long sleeve rash guard for sun protection. Ruffled sleeve and underwear makes your girls more lovely. 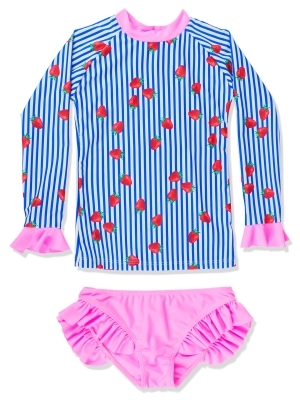 Strawberry printing pattern with stripes on rash guard top. Perfect for swimming pool, beach, resorts and other water activities.